Permits have been filed for a 15-story mixed-use building at 40 East 112th Street in Harlem, Manhattan. Located between Madison Avenue and Park Avenue, the vacant lot is two blocks east of the 110th Street Station – Central Park North subway station, serviced by the 2 and 3 trains. It is also two blocks west of the 110th Street subway station on Lexington Avenue, serviced by the 4 and 6 trains. David Dishy of L+M Development Partners is listed as the owner behind the applications. The proposed 219-foot tall development will yield 698,902 square feet, with 545,566 square feet designated for residential space, 27,750 square feet for commercial space, and 95,585 square feet of community facilities. It will have 315 residences, most likely condos based on the average unit scope of 1,731 square feet. The concrete-based structure will also have a cellar, basement, and rooftop. David Middleton of Handel Architects is responsible for the design. Demolition permits will likely not be needed as the lot is vacant. An estimated completion date has not been announced. 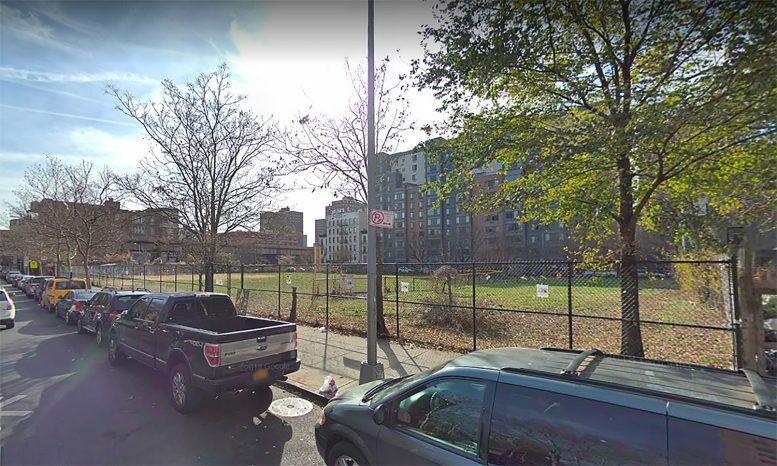 6 Comments on "Permits Filed for 315-Unit Project at 40 East 112th Street in Harlem, Manhattan"
This used to be a baseball field. Shame it was let to turn fallow and fall into disrepair. Bigger shame that it’s destruction is being announced the same week that Frank Robinson died. Frank, some may recalled, decried the dearth of African-Americans in the major leagues, due to lack of inner-city opportunity. This field is overgrown and has clearly been neglected for years, prime for new development. Would’ve like to see an affordable component rather than what seems like large condos. L&M do a very good job with the community facility components and community engagement.